Our new Junior Suite Plus are finely decorated and enriched with warm soft colours which remind the unforgettable sunsets of the Island. 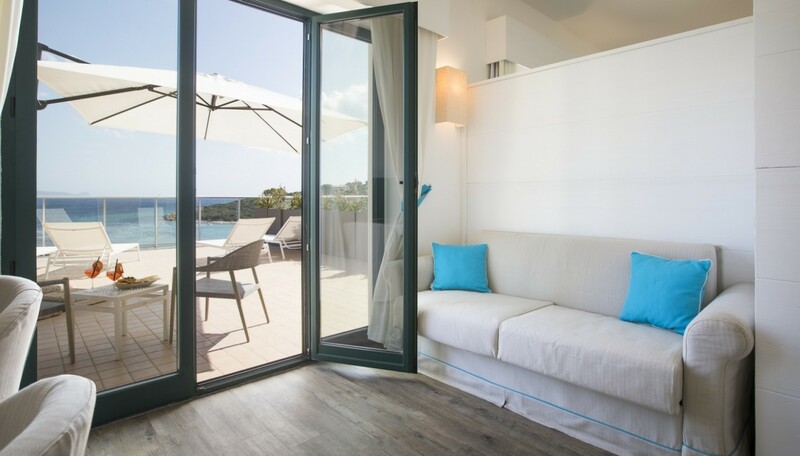 The Suites are equipped with all modern comforts: LCD Color TV , safe-box, hairdryer, minibar, bathroom with shower and a striking panoramic terrace overlooking the bay of Maladroxia. Possibility to add a third bed with a sofa bed, on request and upon supplement.